SNA BLOG: Auckland Metros Abandoned in Nairobi? Auckland Metros Abandoned in Nairobi? Social media has been abuzz with "news" that a New Zealand seven-a-side team, Auckland Metros who played at the just concluded Safari Sevens were "stranded" in Nairobi. A story by Angela Beswick on www.3news.com headlined NZ players stranded in Kenya alleged there was a dispute with an unnamed representative of the Kenya Rugby Union. From here, the story is not clear. What is clear is that team officials and a referee flew out on Sunday as scheduled and the players opted to depart on Tuesday. Rocky Khan, a former New Zealand Sevens player appealed on his tweeter handle to the IRB and Emirates Airlines to intervene. Kenya Rugby Union flew us over here to play and now aren't flying us back home to NZ. Help," he wrote. The team was said to be negotiating with Philip Jalang'o, the KRU vice chairman to get alternative tickets. First, let me say the team could not have left Auckland without a return ticket? On arrival, they must have been given their itinerary (like all the other teams) which they were required to adhere to. At the team briefings, the same must have been repeated over and over again. This is the procedure in any major tournament and the team manager is charged with the responsibility of ensuring this if strictly followed. It is strange that the players could miss their flight while some officials did not. Were they not on the same ticket arrangement. And as a team manager you are responsible for your flock. I have seen teams depart at about 1am from a hotel because they have a flight to catch. The organizers ensure they are provided with transport to the airport. 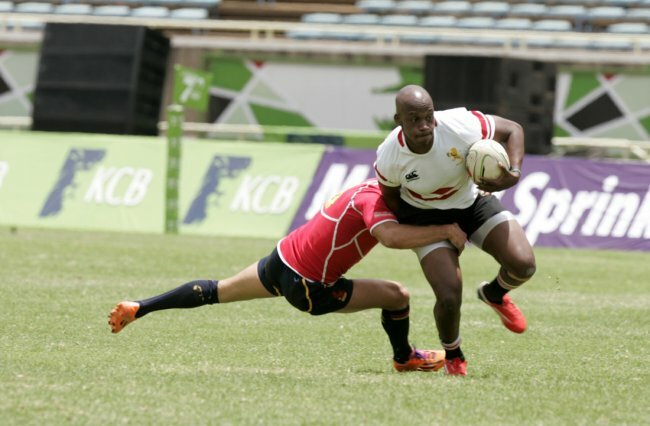 Safari Sevens is not exempt. My take, the players knew when they were supposed to travel to the airport. It is their responsibiity to be there and the safari Sevens organizers were just facilitators. Kenya Rugby Union may have cracks but mistreating teams is not one of their agendas. Let me quickly add that if somebody did, he/she should do the honorable thing and resign. I do not have the details because the KRU officials I contacted failed to reply to my mails. Only one said he was going to meet the team. Somebody should get to the bottom of this and if there is a culprit, name him and shame him/her. If the mistake was the visiting teams', then they owe the 40+ million Kenyans an apology. The KRU ahould not take the blame for a team which did not adhere to their itinerary.